The Sol 1939 drive went well, placing MSL next to the bright/dark transition seen at the right side of this image. In order to better understand the textural and chemical changes across this transition, the tactical team planned ChemCam and Right Mastcam observations of targets "Mallaig" and "Criffel" on either side of it. Mastcam will also acquire multispectral mosaics of the transition and of the material toward the south that shows evidence for clays in orbital data, smaller mosaics of nearby bedrock target "Fetlar" and the more distant "Hallival" target, and images of the Sun and the crater rim to measure the amount of dust in the atmosphere. But that's just the beginning! Later on Sol 1940 the arm will be deployed to acquire full suites of MAHLI images of "Knoydart," a block on the darker side of the transition, and of Mallaig. The APXS will be placed on Mallaig for a short integration, then on Knoydart for a longer, overnight integration. The Sol 1941 plan is dominated by a SAM instrument cleaning/maintenance activity, which requires significant power. Early in planning we expected that power would constrain the number of activities that we could plan, but in the end all of the requested scientific observations made it into the plan. This made for a very satisfying day for me as SOWG Chair. On Sol 1942, the vehicle will drive toward the southeast and acquire the usual post-drive imaging needed for Monday planning. Then Navcam will search for dust devils and clouds and MARDI will snap another image of the ground near the left front wheel during evening twilight. Finally, early on Sol 1943, Navcam will again search for clouds and Mastcam will measure dust opacity in the atmosphere. 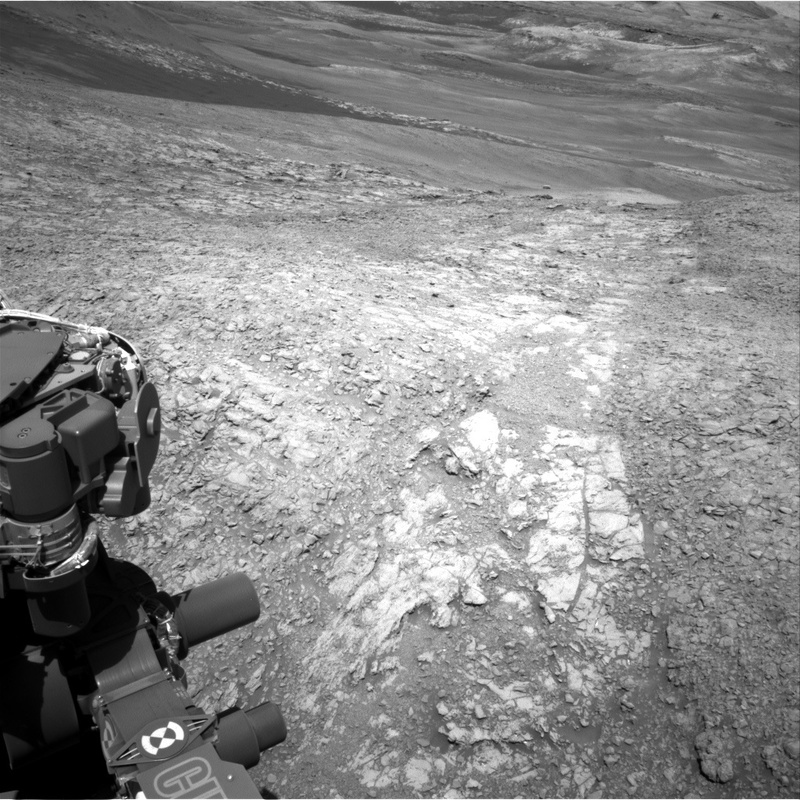 It's looking like another busy weekend for the MSL rover!